Things are not going well in the animal world. Cruelty to animals has gone to a new height this time. After the depressing incident of throwing a little pup off the roof by two medical students in Chennai, another incident of animal cruelty popped up in the city. Shravan Krishnan runs an organization named, Hotel For Dogs. With a heavy heart, he posted about the incident on Facebook. He wrote, I don't know your name. I don't know your age. I don't know who dumped you. I don't know your history. I'm sorry that I couldn't save you and hope you're in a better place now. 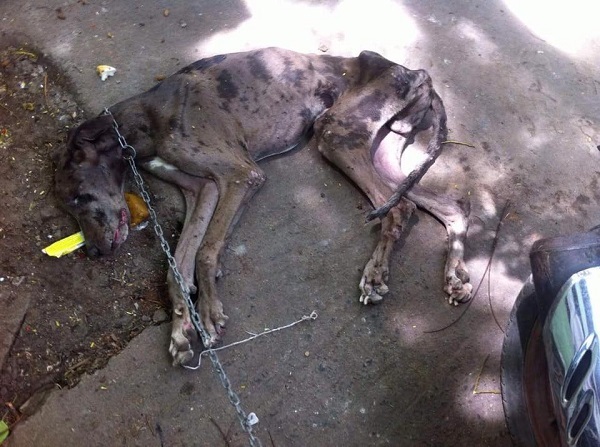 We got a call from Karthik Selvaraj about a Great Dane which was abandoned in Royapuram. We tried to move him to a hospital but unfortunately he died on the way. shelter or seek help from someone. 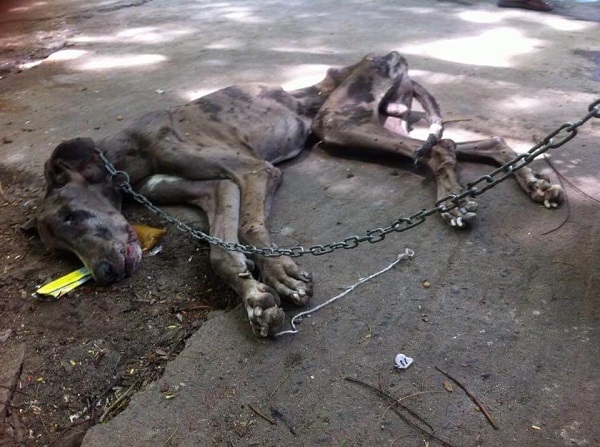 Don't leave your dog on the road and let him die of starvation and dehydration. This not how a life should end. If I ever meet the person who did this to you, I promise you that I will break his bones!!! It is heart-wrenching to see how people treat their pets. It makes our blood boil seeing such cruelty happening to those who cant even voice themselves. It is high time now! People should learn to take responsibilities of their pets. If you can take care of them, dont bring them home! Next Article Generosity At Its Best, Stranger Donated $8000 To Animal Shelter!